Decorate your Christmas tree with one of these unique photo ornaments. Enjoy the holidays with these unique Michigan and wildlife photo ornaments. Makes a great gift for the bird-lover or Michigan Ex-pat in your life. Each ornament consists of a photo on a hand-painted miniature canvas. Click the image for more information on the product and ordering information. Unique St. Joseph Michigan lighthouse tree ornament. Photo on mini canvas. Hand painted. St. Joseph, Michigan light. One of a kind holiday decor perfect for the Michigan lighthouse lover in your life (or yourself!). 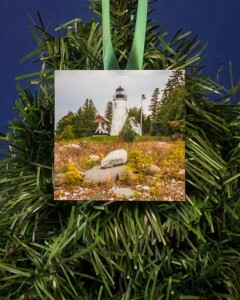 Unique Ludinton lighthouse photo tree ornament. Ludington, Michigan light. Hand painted on mini canvas. 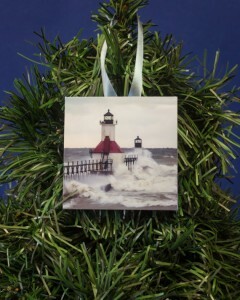 One of a kind holiday decoration perfect for the Michigan lighthouse lover in your life. 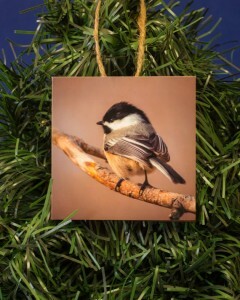 Unique Chickadee tree ornament. Photo on mini canvas. Hand painted. Wildlife and nature decor. One of a kind item for the bird-lover in your life. Unique Saw Whet Owl tree ornament. Photo on mini canvas. Hand painted. 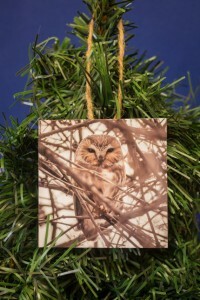 One of a kind nature & wildlife holiday decor for the owl-lover in your life. Unique Old Presque Isle lighthouse tree ornament. Photo on mini canvas. Hand painted. Old Presque Isle, Michigan light. 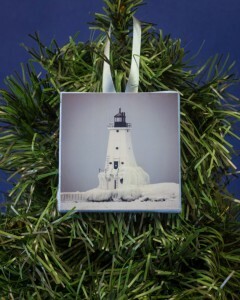 One of a kind holiday home decor perfect for the Michigan lighthouse lover in your life. 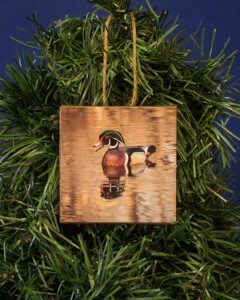 Unique Wood Duck tree ornament. Photo on mini canvas. Hand painted. One of a kind wildlife and nature holiday home decor perfect for the bird-lover in your life.